Dimensions 1 photomechanical print : photochrom, color. US-LibraryOfCongress-BookLogo.svg This image is available from the United States Library of Congress's Prints and Photographs division under the digital ID ppmsca.02662. Notes Print no. "15143". ; Title from the Detroit Publishing Co., catalogue J-foreign section. 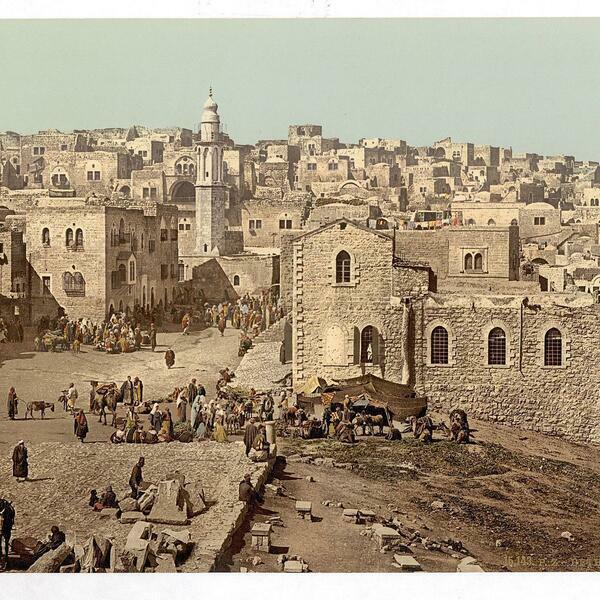 Detroit, Mich. : Detroit Photographic Company, 1905.; Forms part of: Views of the Holy Land in the Photochrom print collection.